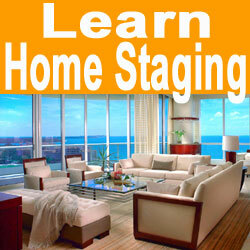 The home staging business is a niche facet of the real estate industry. While some people think that staging is a form of interior decorating or design, they are completely mistaken. Home staging is all about marketing, even though it contains design elements. Therefore, property staging is classified as a part of the real estate sales industry, not the home improvement sector. Home staging is one of the few business models which can provide a tremendous amount of financial success and personal satisfaction, in a variety of applications, with little training and a completely flexible work schedule. This essay examines the business side of property staging including the benefits and limitations of both large and small staging companies. Most home stagers work for large staging companies. These full service businesses typically provide a range of services to each client, ranging from consultation and design to staging execution to regular maintenance of the décor. The larger firms mostly have their own warehouses, complete with full stocks of furniture, art and accessories which will help to improve the aesthetics of any interior space. Some companies also employ their own carpenters, painters and even landscape professionals to offer every conceivable type of staging improvement and home repair all under one roof. In prosperous real estate marketplaces, a large home staging company can become hugely successful, employing hundreds or people and creating true wealth for the owner. Smaller staging businesses can consist of a few employees or even a single owner/operator. These businesses may offer full service staging or may only be involved in home staging consultation work. Most of the smaller firms do not stock their own furniture, art and accessories, instead choosing to subcontract out furniture rental, art rental and other services to specialty providers. Modestly sized real estate markets generally feature more smaller staging companies than larger ones, although small firms also prosper in large markets, as well, since some clients simply prefer the detailed and personalized service that only a small company can provide. Home staging is an interesting and rewarding industry, regardless of whether you work for someone or go into business for yourself. There are many possible avenues to explore in terms of services offered and specialties. 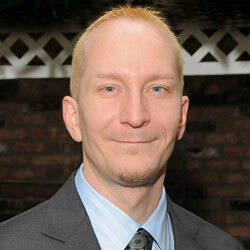 Since it is a diverse industry, it is easy to become a jack-of-all-trades or an extreme niche specialist. I have found that I particularly enjoy working with families who want to be actively involved in their staging efforts. This is precisely why I am a staging consultant, since I enjoy helping the average homeowner improve the appeal of their home, while allowing them to save lots of cash by doing much of the work themselves. If I can help you with any home staging industry questions, please contact me at any time.